Today we interview Lisa Waterman Gray, a renowned food and travel writer and photographer who has published thousands of stories for national, international, regional and local publications including USAToday.com and Dreamscapes Travel & Lifestyle Magazine. Lisa is also the writer of An Explorer’s Guide: Kansas and co-author of numerous other books. Hi Lisa and welcome back to the Flavours blog. We’d love to hear what you’ve been up to since our last talk. What’s been inspiring you lately in food photography? Although I still use a digital SLR camera if I’m shooting food for professional purposes, I’m blown away by the quality of images you can sometimes get from a cellphone camera. I love how chefs are stretching themselves with more inventive and artistic food presentations, including rustic pottery, bowls with asymmetrical edges and small cutting boards that cradle multiple ingredients for appetizers so customers can compose their own individual ‘bites.’ It’s also amazing how a drizzle of chocolate sauce on dessert, or creme fraiche atop a soup, elevates the look of a dish. What’s your new favourite food? That would have to be jackfruit, particularly when it mimics meat. It’s a truly remarkable plant with an enormous array of uses. I recently completed a feature about jackfruit, for the Kansas City Star newspaper, which you can read here. Your travel photography and writing portfolio is very impressive, could you share with us any tips for taking better pictures when travelling? Use natural light versus flash, as often as possible. If I want to photograph a restaurant dish in a dark room, I shoot the image (using a digital SLR camera) with and without flash. Then I choose whichever image most resembles the dish as I saw it with my naked eye. I also make minor shadow and highlight changes, in my computer, to help reflect the naked eye image. Lastly, which destination in Italy is next on your bucket list and why? I very much want to visit Modena. I had originally scheduled a visit to a balsamico maker, and an overnight stay at a bed and breakfast there, in 2014. But massive flight delays, and other commitments in Italy, caused me to cancel that part of the trip. 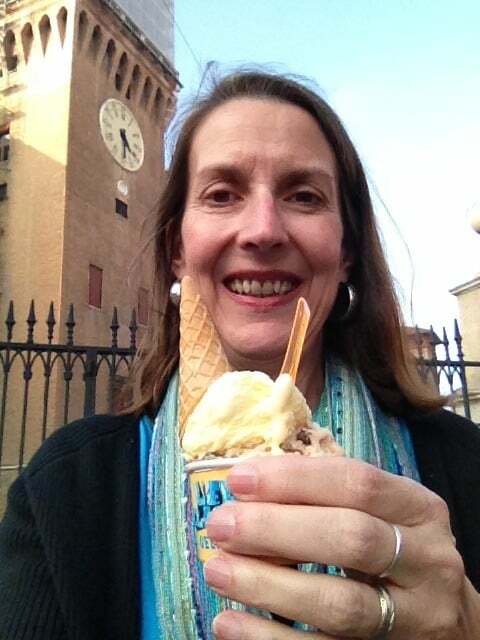 In addition, I can explore more of my mother’s Renaissance Italian heritage throughout Modena.